Inspired by far away galaxies, swirling bodies of water, and solid diamonds, Class 51 created naturally texturized looks for their class theme: elemental. Graduation is the time for our students to show off their new skills to their fellow students, staff, families, and friends. Each graduate must present one model that reflects their newfound technical and creative abilities as a stylist, and their own artistic interpretation of their theme. They curated a complete look, including outfit, makeup, hair, and style and created a video full looks inspired by nature. “I feel a great sense of purpose and reward for every student I have enabled to accomplish their goals. I am looking forward to their continued success as licensed professionals,” says Megan, Class 51 Main Educator. Congrats to class 51. Here’s to a career full of success in your future! 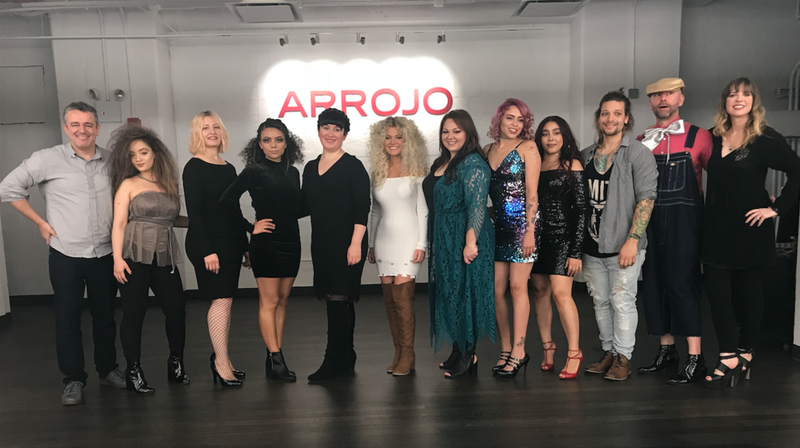 For the gift of continued education, each of these award-winning Graduates wins a $350 gift certificate to attend advanced education seminars at ARROJO Advanced Academy NYC. Thank you for your dedication to the craft & to the ARROJO brand!